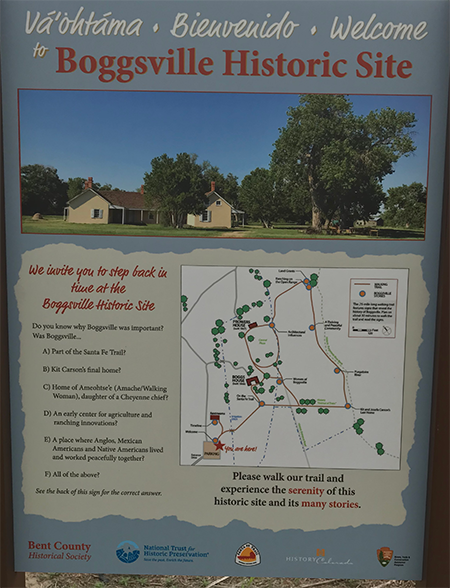 Thanks to two grants from the Gates Family Foundation, high quality interpretive signs were recently installed along the walking paths at Boggsville Historic Site. The new signs are designed to blend with the natural landscape and withstand the harsh Southeast Colorado sun and wind. The former trail signs were a mishmash of markers installed at various times during various projects. The old signs, erected many years ago, were cracked, peeling, difficult to read and were removed. Boggsville, a National Treasure of the National Trust for Historic Preservation (NTHP), is an original site on the Santa Fe Trail and exemplifies the multi-culturalism that existed in the Southwest for hundreds of years. Founded in 1866 by Thomas Boggs and his wife, Rumalda Luna, on land she inherited through a Mexican Land Grant, Boggsville was the first non-fortified settlement in the area. In 1867 John Powers and his wife Ameohtse'e (Amache, the daughter of a Southern Cheyenne chief) moved their cattle operation headquarters there. The cattle were run on land Amoehtse'e received as reparations from the U. S. Government following the murder of her father at Sand Creek. 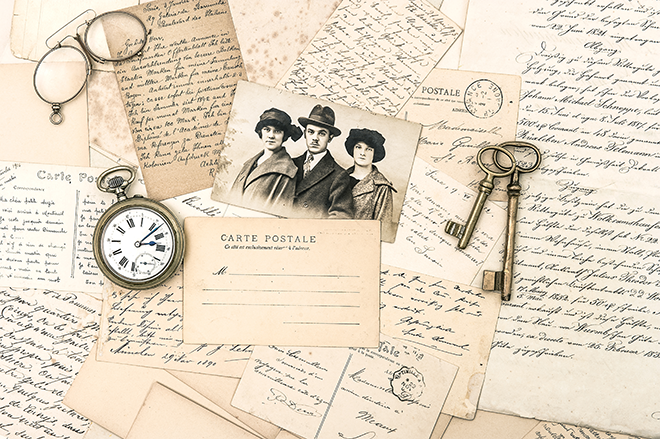 Famed scout Kit Carson and his wife, Josefa, lived the final months of their lives at Boggsville and following their deaths, their children remained at Boggsville to be raised by Thomas and Rumalda. In 2015, an interpretive workshop sponsored by the National Park Service Rivers, Trails, and Conservation Assistance was held in Las Animas. Attended by local site volunteers, National Park Service personnel, NTHP, and former Boggsville archaeologists and anthropologists, it was determined the historical uniqueness of Boggsville resulted from its women and their multi-culturalism. Building on the dedicated archeological work of Boggsville's late director, Richard Carrillo, local volunteers worked with a design firm to create new panels and signs, highlighting the importance of the multi-culturally diverse women of Boggsville. For example, the new welcome sign bids hello to visitors in Cheyenne, Spanish, and English, paying homage to the three most prominent cultures to inhabit the area. Last June, Boggsville volunteers were privileged to hold consultations funded by NTHP with members of the Northern and Southern Cheyenne and Northern and Southern Arapaho tribes. Their native stories, language, and viewpoints have been incorporated into the new signage. Additionally, knowledge obtained about the indigenous people who lived in the confluence of the Purgatoire and Arkansas Rivers prior to the Mexican and Angelo influx will now be included in historical Boggsville literature. Boggsville is located two miles south of Las Animas on Highway 101. The walking trail with the new interpretive signs may be visited any time. The original Prowers and Boggs houses are open Tuesday through Sunday from 12:00 to 4:00 pm from May thru October.